Robert Mann reexamines the hypothesis that the Slovo o polku Igoreve is the work of a highly literate poet and concludes that the Slovo is more likely the text of a 12th-century court song. This study introduces a large number of new folkloric parallels showing that ancient Slavic wedding ritual and wedding song motifs served as a primary model for many metaphors in the Slovo. 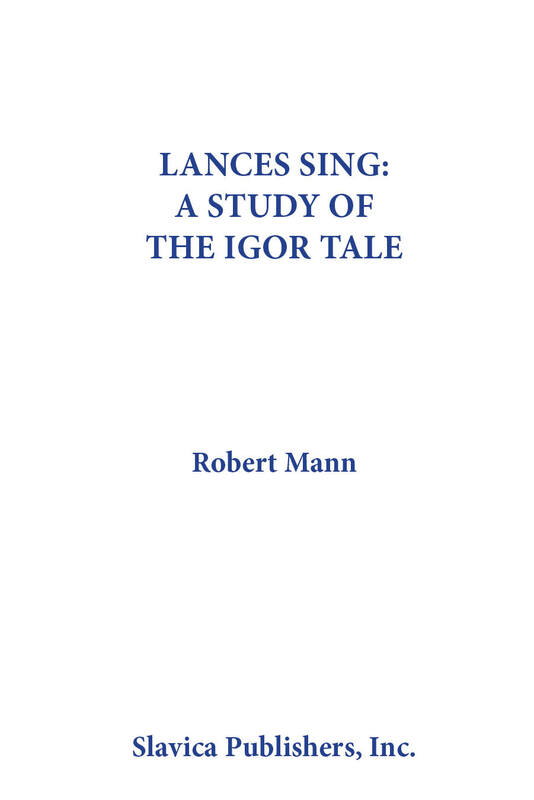 Mann argues that the Slovo also adapts motifs from an even older cycle of oral tales about the conversion of Rus' and he attempts to reconstruct the outlines of this cycle on the basis of similar motif patterns in byliny and early Russian legends reported in chronicles and saints' lives. This older cycle portrayed the demise of the pagan gods along the lines of the Apocalypse, and Mann attributes some of the Slovo's apocalyptic motifs, such as "Troian's seventh millenium," to the influence of the earlier conversion cycle. Using folkloric sources, he reexamines the relation between the Slovo and chronicle accounts of the battle it portrays, concluding that both the Slovo and the chronicles drew from oral tales. The new folkloric parallels and other data shed new light on some of the Slovo's most obscure words and names, such as Khinova, Kaiala, shereshiry, paporzi, and Troian.